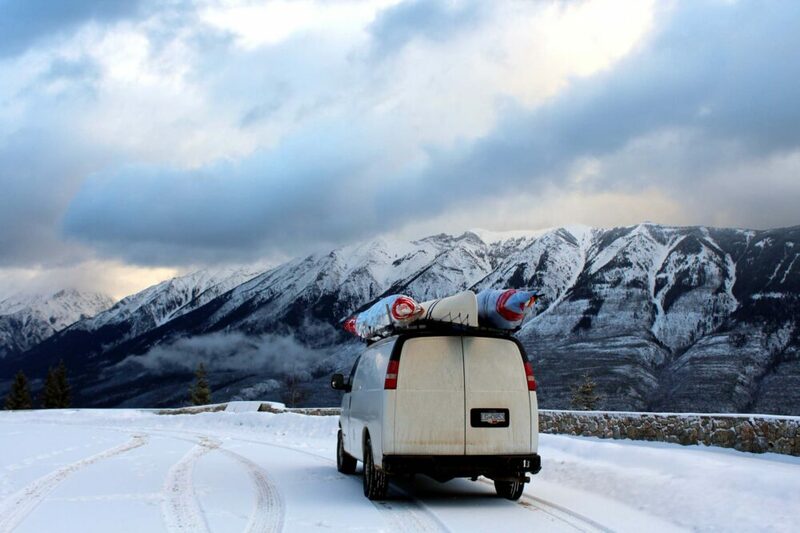 A road trip across Canada is undoubtedly a bucket list worthy adventure. 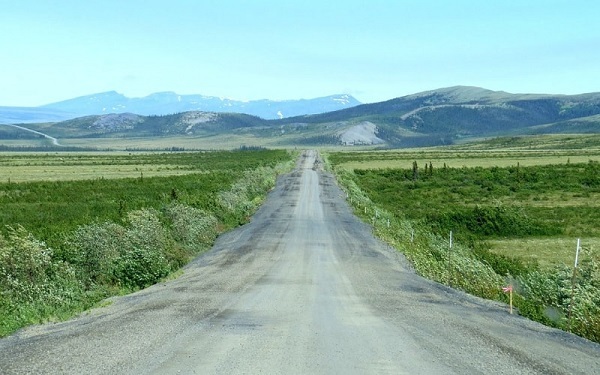 Home to the longest national highway in the world, Canada should be the top destination for the ultimate road trip. 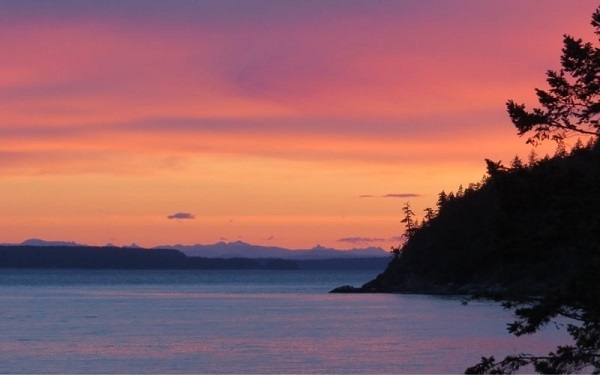 The journey travels between two great oceans (three for those heading north) through mountain ranges, canyons, rainforest, prairie, forests, grassland and lakes. 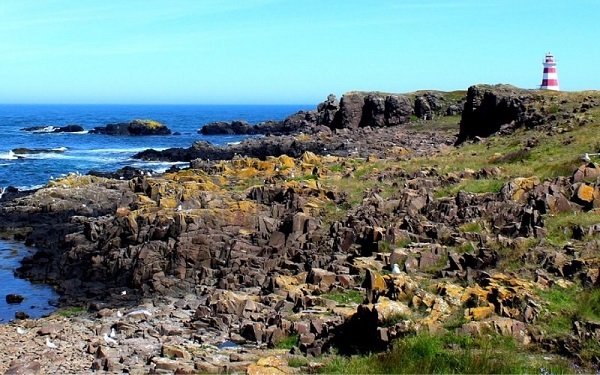 The contrast and vastness of the landscape here is like nothing else in the world. 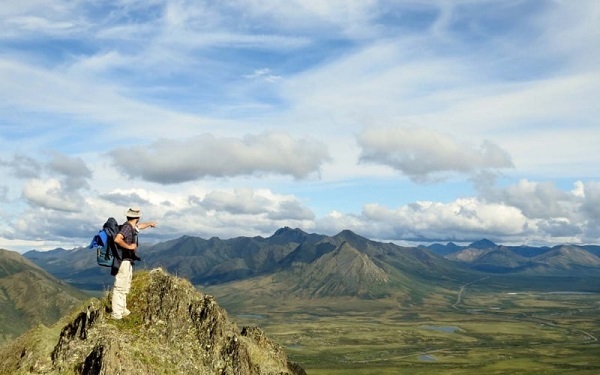 The scenery isn’t the only thing in Canada that ranges in extremes, however. Winters can be bone-chillingly cold but summer surprisingly hot. 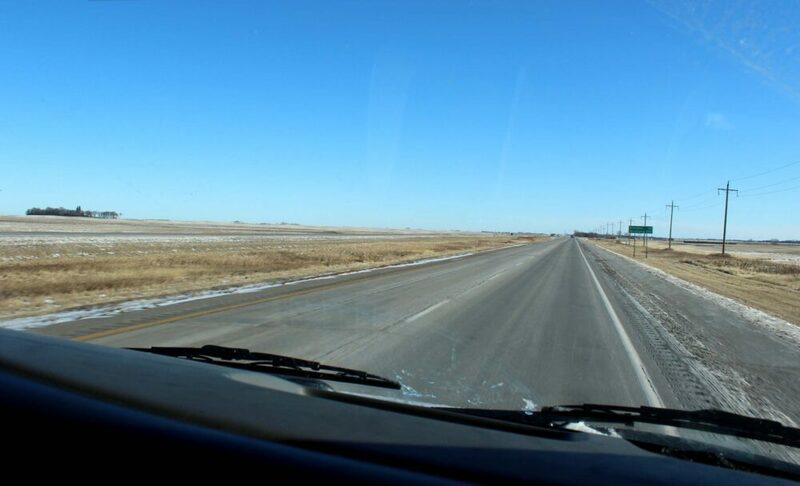 For this reason, the months of May to October are the most popular time for road trips across Canada. 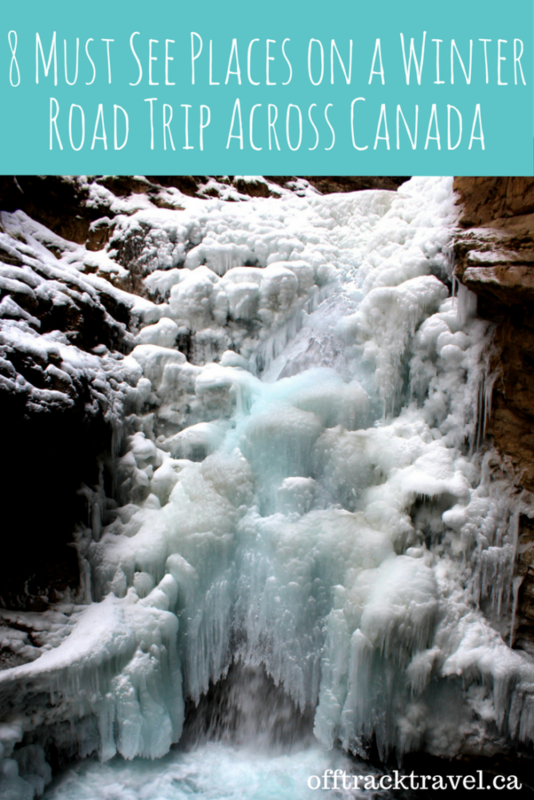 But this doesn’t mean summer is the ONLY season to road trip Canada! 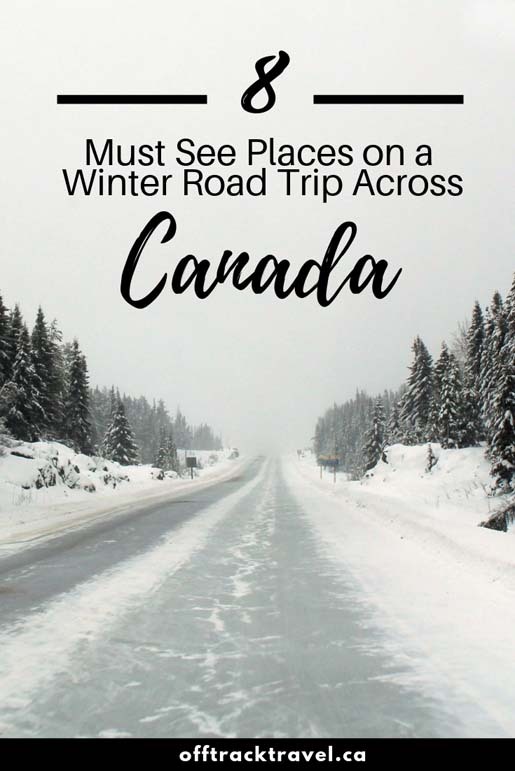 For the well prepared, a winter road trip across Canada can be a less crowded, more affordable and not to mention absolutely beautiful experience. Canada is a true winter wonderland. 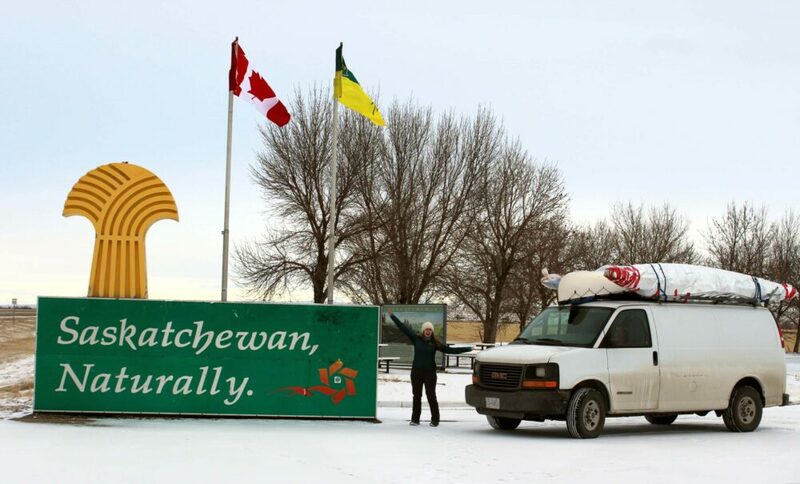 We headed out on a British Columbia to Ontario road trip in early December, driving some 4,700km in two weeks. It was something of a utility road trip rather than a proper adventure but we took our time and made the most of the journey. 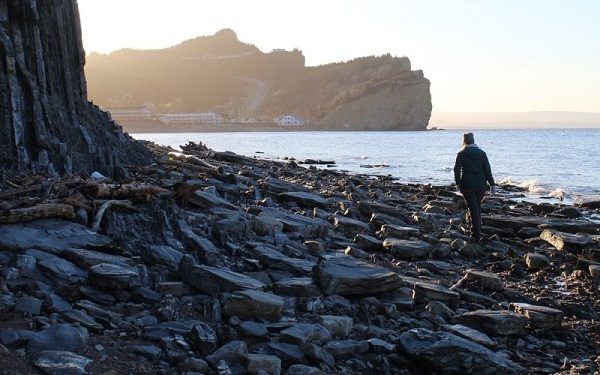 Here are the top eight places we discovered en route on our winter road trip across Canada. Relaxing in a hot spring may well be the ultimate in Canadian winter road trip stops. There are plenty of hot springs in the Kootenays region of BC but Radium is definitely my top choice for a soak. One of the top reasons is location. Radium Hot Springs is right on Highway 93, a well maintained and quieter alternative to Highway 1. Run by Parks Canada, the hot springs in Radium are cheap to visit too, at only $5.85/adult for one soak. They are also open all year round. Radium doesn’t offer the most natural hot springs experience but the main hot pool is one of the largest in the Kootenays and is set into a deep, rocky canyon. 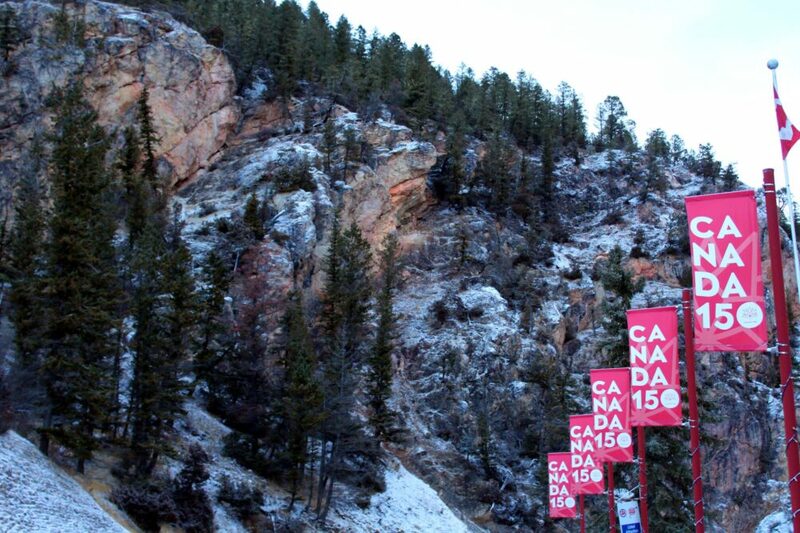 On the way into the town of Radium Hot Springs, keep an eye out for the resident herd of bighorn sheep! As mentioned, Highway 93 through Kootenay National Park is an easy winter drive. 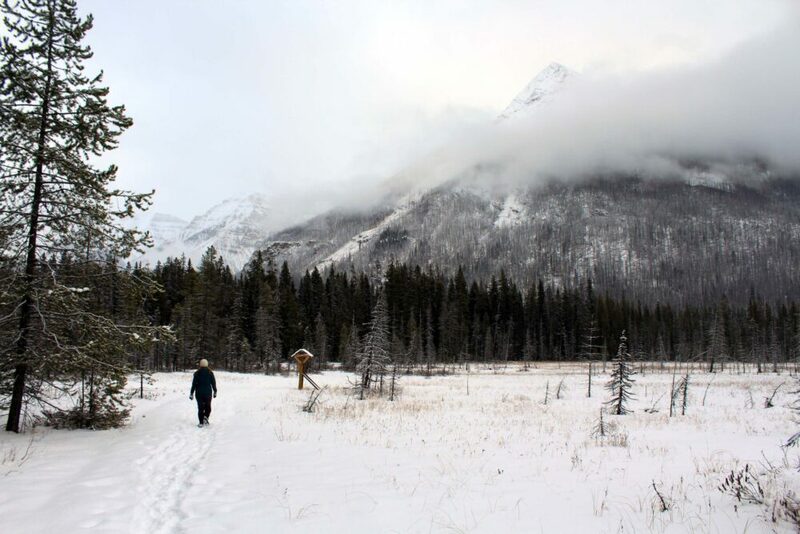 Along the way, there are some great places to stretch your legs while on a winter road trip across Canada. One of these is the Paint Pots trail, a short and easy hike (3km return) that leads through the forest, across the Vermillion River and then ends in what seems like an open meadow. Underneath the snow, however, are several pools (or ‘pots’) of cold mineral springs, surrounded by iron ore-rich earth. When these pools bubble, the iron ore stains the earth and it becomes almost clay like. The result is a substance called ochre that was used for paint by the local native tribes. 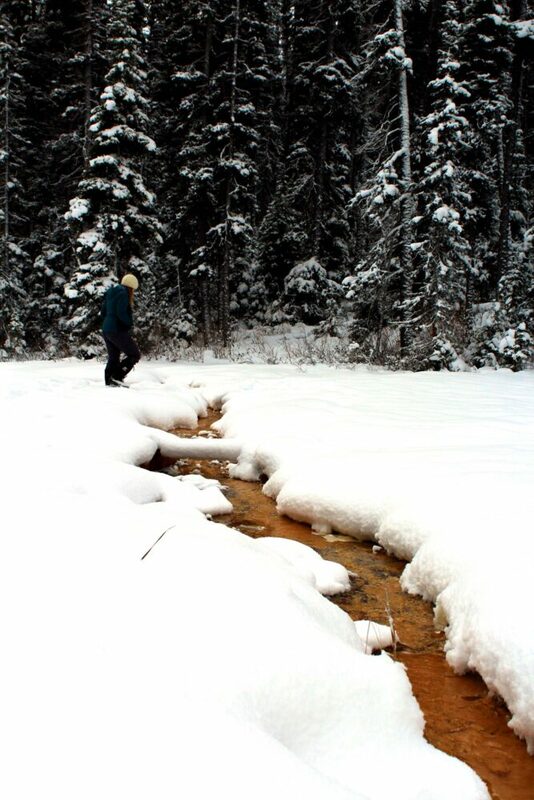 Though the pools may be mostly covered over the winter, it is fascinating to see the vivid colours of the ochre stream peek through the pure white snow. The mountain and valley views on the way to and from the Paint Pots are pretty wonderful too. 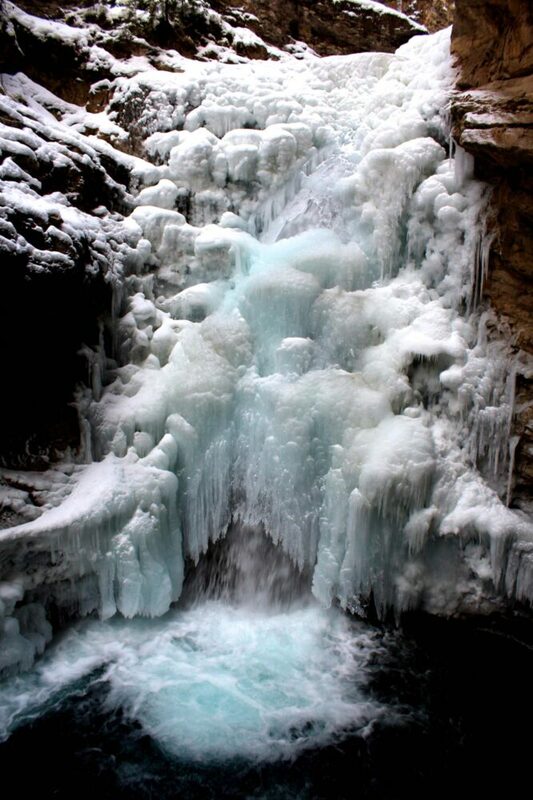 Johnston Canyon is one of the most popular day hikes in the Canadian Rocky Mountains and it’s easy to see why. The trail travels into the deep canyon with very little elevation, winding alongside and above a rushing creek. Deep pools swirl below, surrounded by ice sculptures on the walls of the canyon. At the end of the lower trail (2.2km return) is a spectacular frozen waterfall. A longer, upper trail leads to yet more dramatic icy scenes and another set of waterfalls. It’s a pretty magical place to visit. 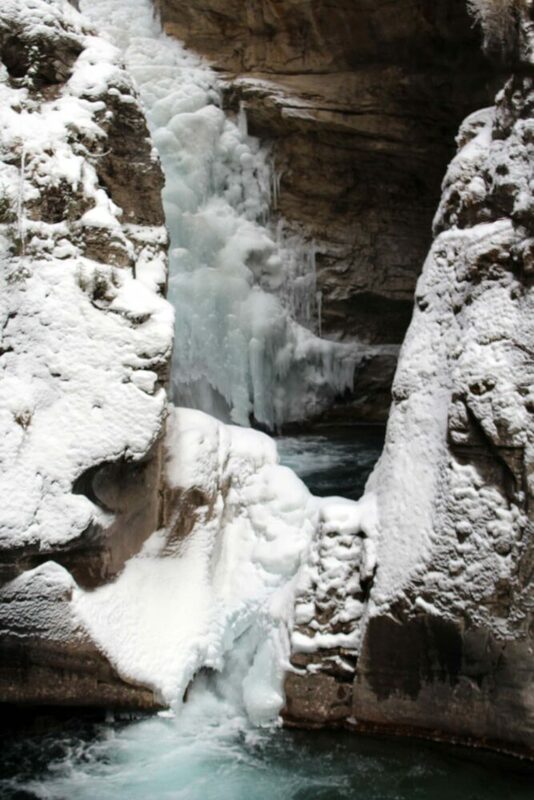 The Johnston Canyon trail is accessible all year round. If visiting while on a winter road trip, I’d highly recommend using ice cleats as the path can get very slippery. Hidden below the streets of this assuming small town in Saskatchewan is a network of passageways and corridors. These tunnels date from the late 19th century and were first used for utility purposes for the nearby railway. This network had a more sordid secondary use during the prohibition days for alcohol smuggling. 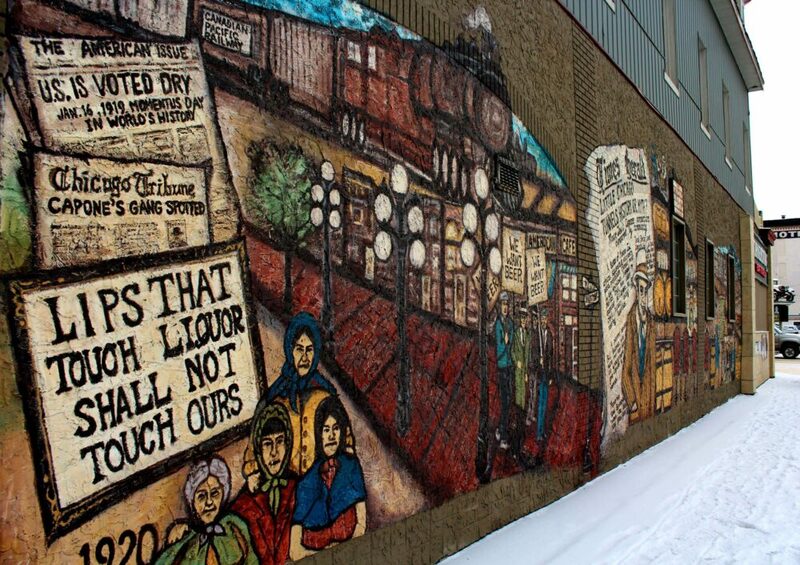 Though it’s not yet been proven, Al Capone was rumoured to have had a hand in the bootlegging operations here. 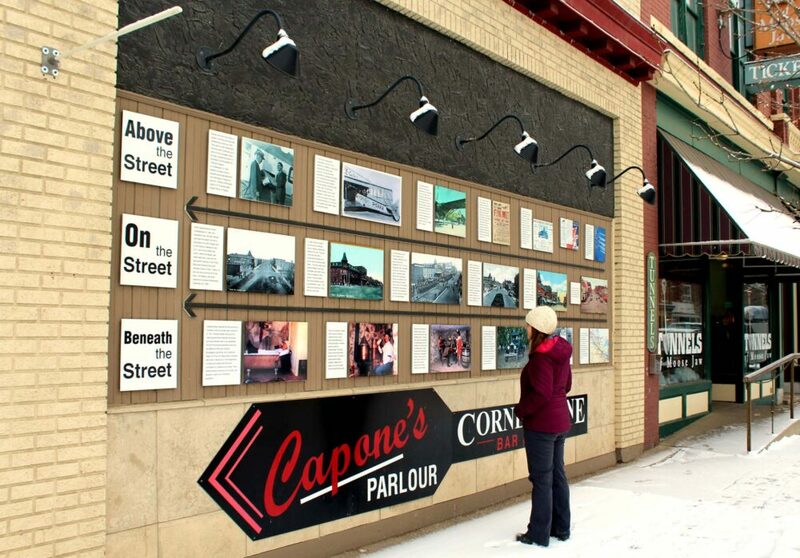 The Tunnels of Moose Jaw brings all of this history to life with the theatrical ‘Chicago Connection’ tour. We were led into the tunnels by the exuberant Miss Fanny and then taught the realities of bootlegging by Italian-American gangster Gus. It’s entertaining, interactive and a whole lot of fun. 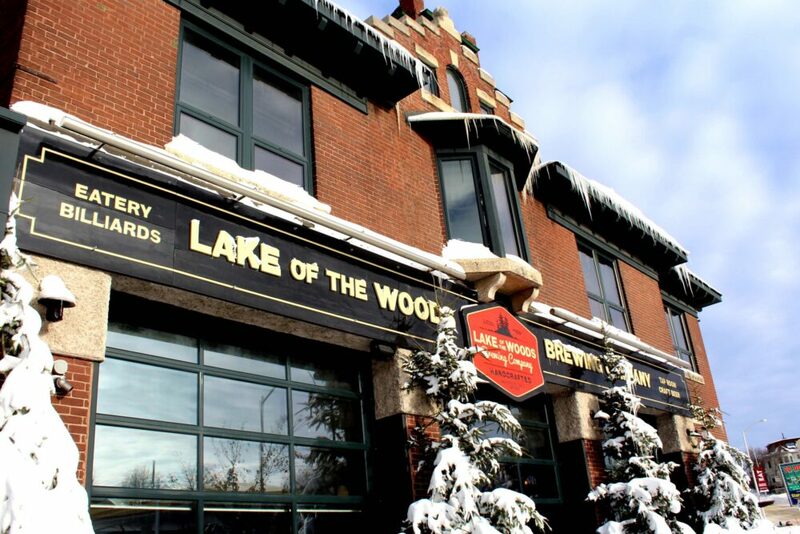 An ideal place to get out of the winter weather for a while! Tours of the Moose Jaw Tunnels run every day of the year except Christmas Day. We were kindly given complimentary tickets to the Chicago Connection tour by the Moose Jaw Tunnels team. Another tour called ‘Passage to Fortune’ shares the story of Chinese railway workers escaping persecution via the tunnels in the early 1900’s. Did you know that Saskatchewan has its own hot springs? Neither did I. 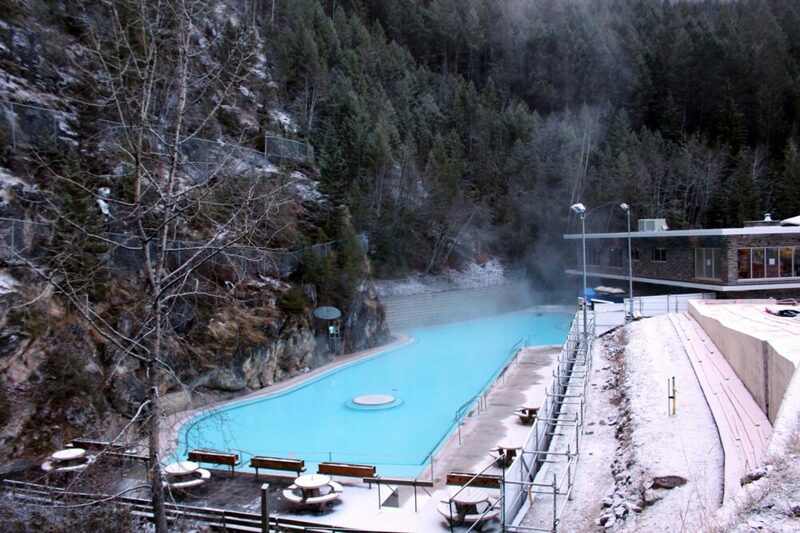 The Temple Gardens Mineral Pool is the perfect place to warm up during any winter road trip across Canada. 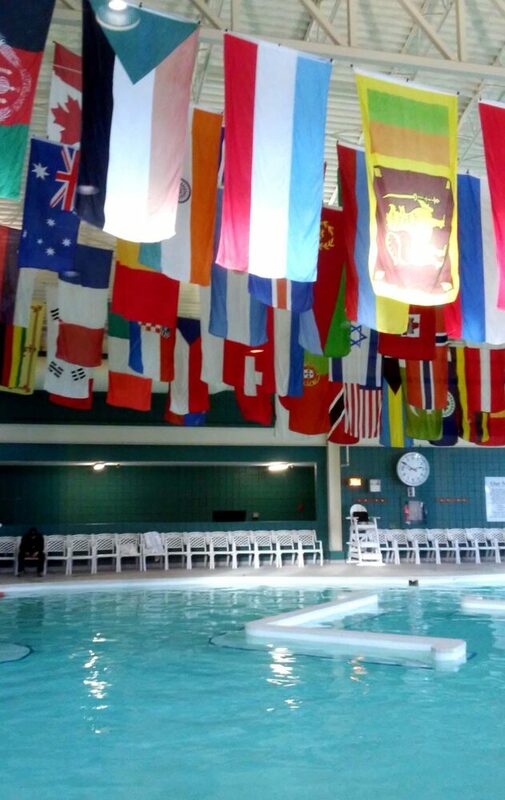 Being only a block away from the Moose Jaw Tunnels, a visit to the mineral spa is also a great post-tour activity. Located on the roof of a downtown hotel, the mineral spa offers a small outdoor hot pool in addition to a large indoor pool and steam room. Soaking outside in -20c temperatures, with snow falling from above in the middle of downtown Moose Jaw had to be one of the most satisfying experiences on our winter road trip across Canada. 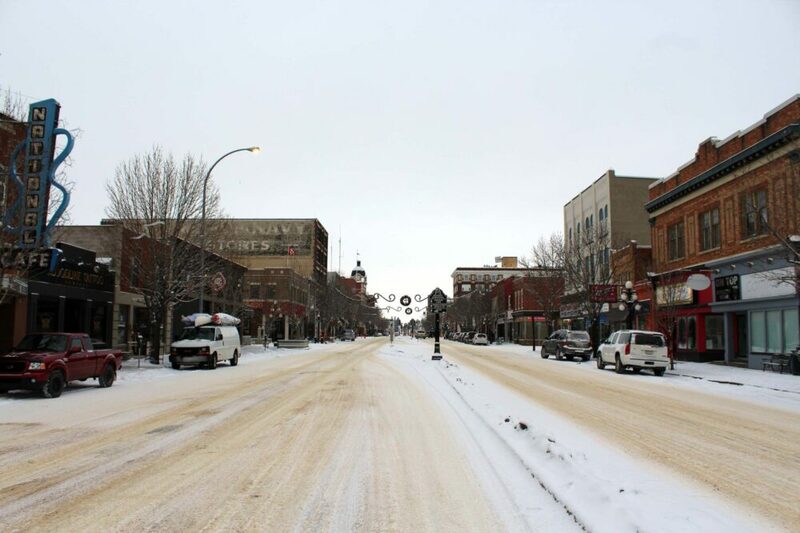 Planning a stay in Moose Jaw? Temple Gardens Hotel & Spa – Stay as close as possible to the mineral pools! 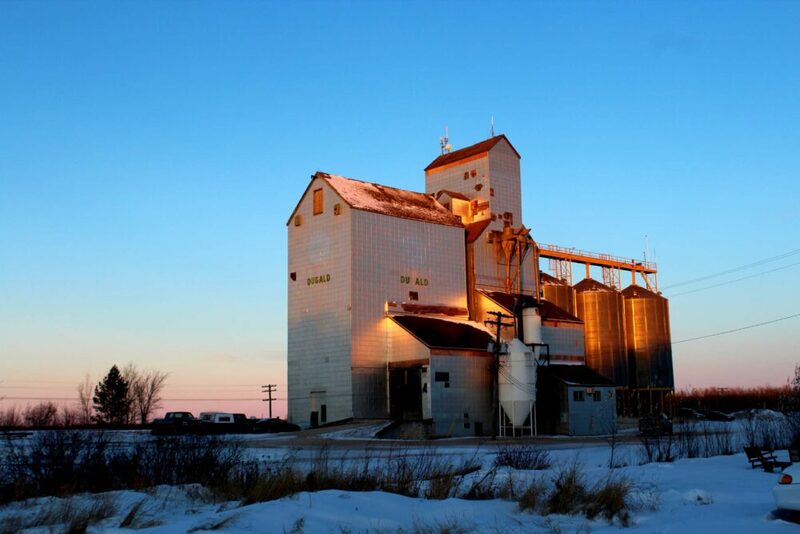 Grain elevators, particularly the older wooden style, are considered an iconic symbol of the Prairies. Nowadays, the views from Highway 1 mainly feature the newer, circular steel monoliths all the way to the horizon. 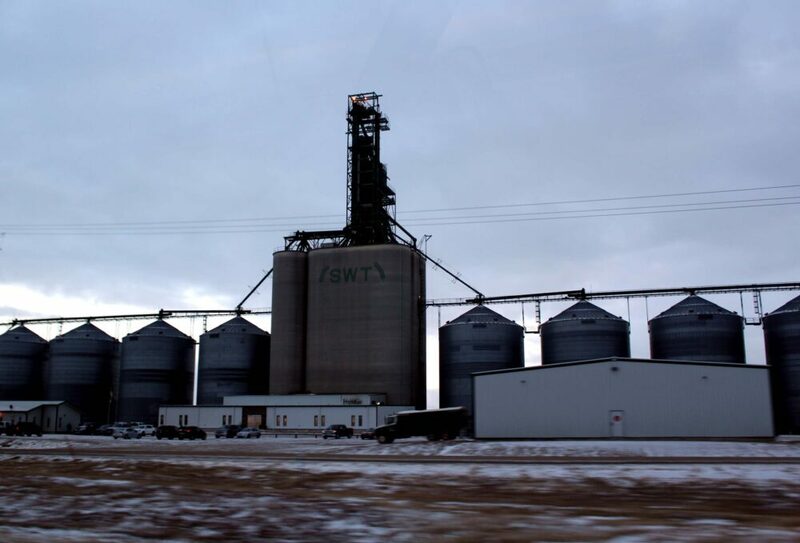 If you’re short on time and want an up-close look at an older grain elevator on your winter road trip across Canada, stop at Virden, Souris or Deacon’s Corner (East Winnipeg) in Manitoba. Or simply just keep an eye on the horizon! Those with more flexibility concerning route should perhaps check out the historic grain elevator rows in Warner, AB or Inglis, MB. Believe it or not, there are few small towns along the entirety of Highway 1 from Vancouver to Toronto. Kenora is just one of a handful and was absolutely my favourite (Revelstoke in BC comes a close second). Surrounded by hundreds (thousands!) of lakes, Kenora is the centre of cottage life and lake activity in the summer. The lakes may be almost completely frozen and covered in snow all winter but it is still a lovely place to be. The streets are steep and narrow and the houses and main street stores mainly brick, offering an unexpected European feel at the edge of Ontario. For the best panoramas of the area, go for breakfast at the Clarion Inn; the restaurant is located on the 7th floor and offers lake, island and town views from every table. 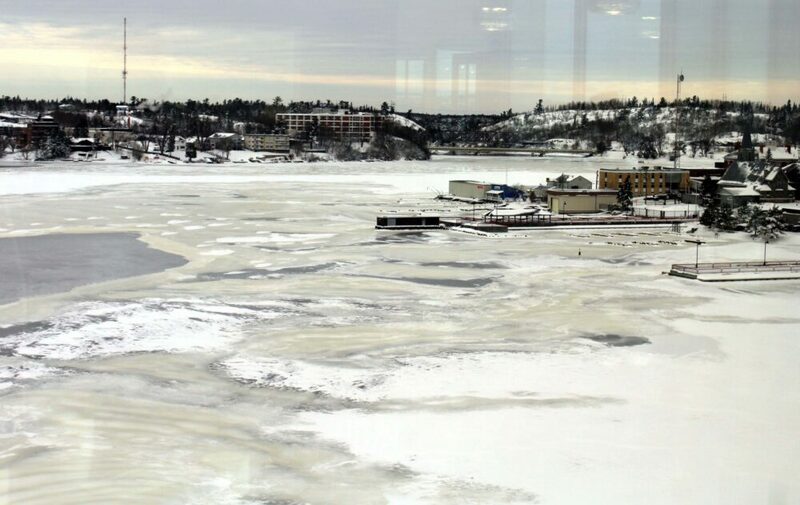 Planning to book a stay in Kenora? 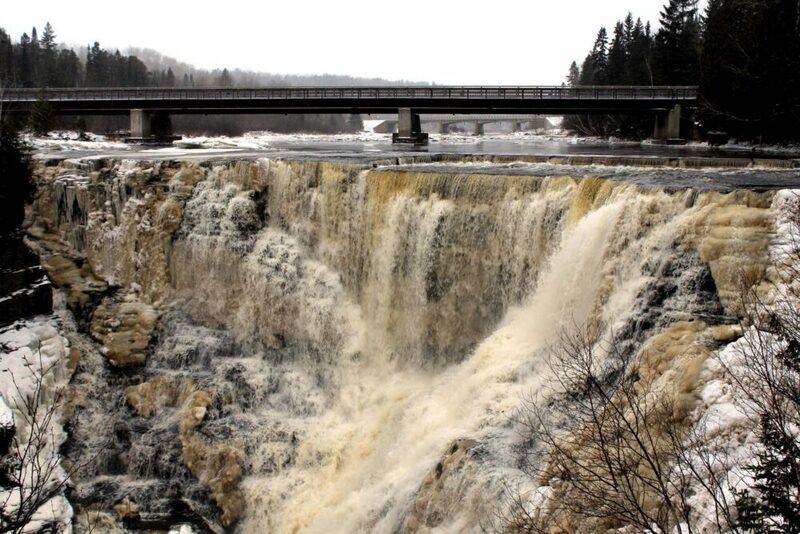 Just to the west of Thunder Bay, Kakabeka Falls is a welcome stop in an area with few winter roadside attractions. The 40 metre high falls (Ontario’s second highest!) cascades over cliffs into a pretty gorge. 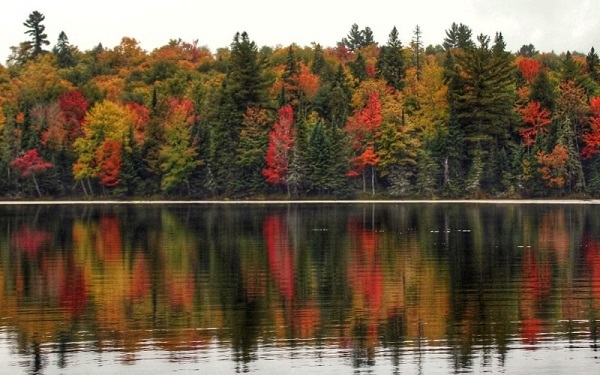 Kakabeka is located close to the highway but offers a surprisingly remote, wilderness feel. Sometimes called the ‘Niagara of the North,’ Kakabeka is pretty impressive in both size and volume of water. The strength of the falls is so powerful that the water has cut through rock and revealed 1.6 million-year-old fossils hidden beneath. 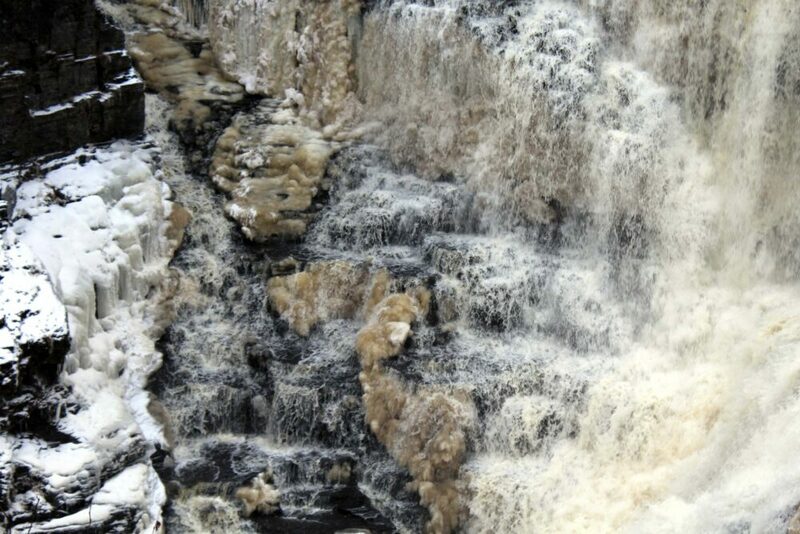 Kakabeka Falls Provincial Park is open all year round, with one viewing platform open during the winter (accessible via steps). Note that parking fees are required at any time of year. 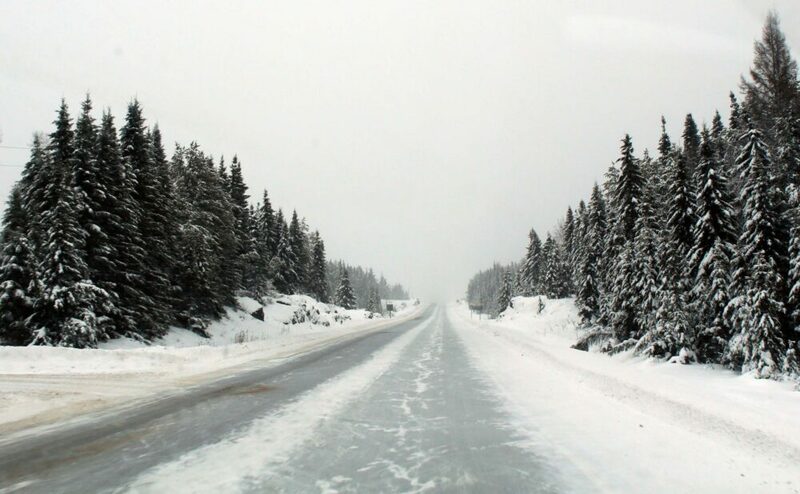 Planning your own winter road trip across Canada? Tell me about it in the comments below! PIN or save this post for future reference with one of the below images! Great to hear that this helped you Paul! 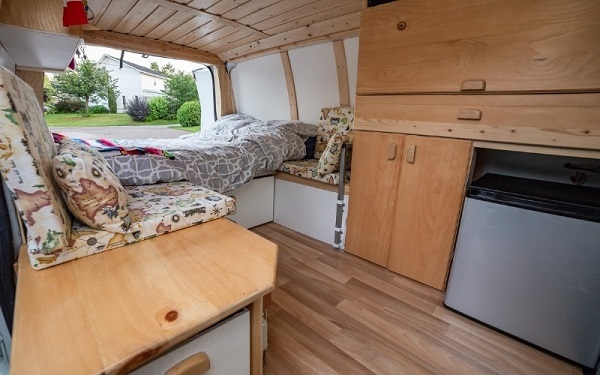 Some friends and I care considering taking a road trip from Vancouver across to Toronto in Nov/Dec. However I’m worried about driving in the snow. We are from Australia and are a bit nervous about how dangerous it is. Is it more for people who are used to driving in snow, or is it safe enough to give it a go! ?